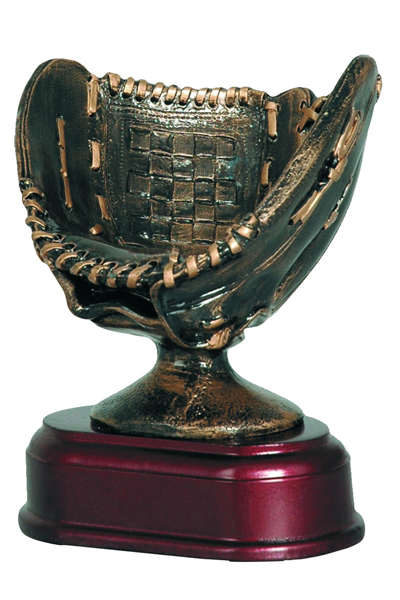 Stylized as a baseball glove resin trophy award attached to a base. Perfect trophy for any baseball related recognition events. You can customize this trophy by engraving your own text, logo or graphics to match with your award recognition event.